Wild Horses, Where are they Going? RMR Ranch (1tE9) – Wild Horse Foundation is a 501(c)(3) nonprofit organization whose mission is to prevent the American Mustang from suffering abuse, neglect and slaughter. The foundation is dedicated to helping preserve and promote the “Wild Horse and Burro Adoption Program” through the U.S. Department of the Interior Bureau of Land Management (BLM), State of Nevada, by offering and sponsoring mentor assistance training and education programs to the public about the uniqueness of the Wild Horse. We utilize “networking” with other clinicians all over the United States to ensure education and safety with natural horsemanship techniques. Rescue abandoned, abused or neglected wild horses, rehabilitate, gentle and place by adoption into new loving homes. Provide technical knowledge and assistance with training and/or gentling and desensitizing using natural horsemanship techniques. Educate the general public on wild horse issues through the implementation of programs, which reinforce the need for preservation, protection and management, while promoting a more positive image of the wild horse. 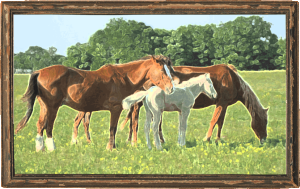 Referral and consultation service that assists with placement of gentled horses to other nonprofit organizations, i.e., camps in need of horses. Organize events where horse owner/enthusiasts can learn how the Wild Horse compares to domestic horses, in events such as trail rides, team penning, working cattle, pleasure riding, barrel racing, endurance races and many more. We are an exclusive born-wild horse training facility in the central United States, Texas dedicate to assisting new adopters. 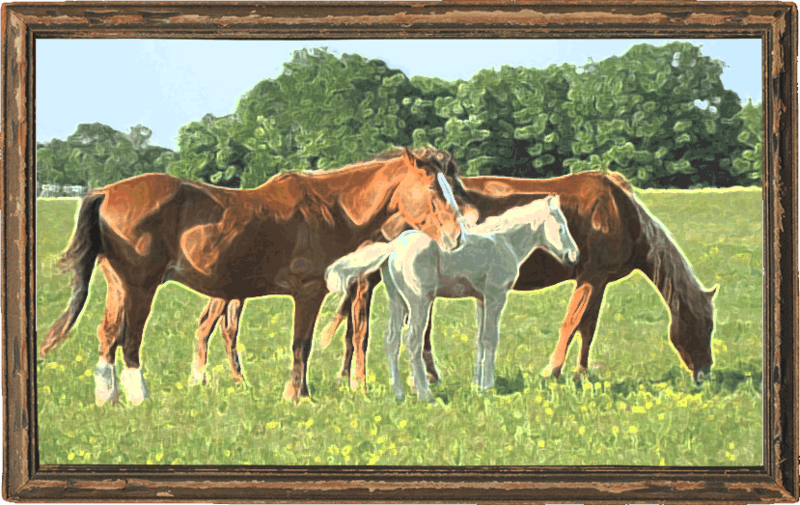 Wild Horse Foundation is located in Central Texas in Robertson County. Home of the RMR Ranch, the facility sits on 111 acres and is home to a number of born-wild horses and domestic horses, including eight dogs that have adopted us. The facility includes four very nice training arenas; two – 30 ft. round pens, one – 45′ round pen and one 60 ft. round pen, and a riding/training arena conducive to wild horse gentling techniques. Interested parties can observe and learn natural horsemanship techniques. We have 10 private training areas. The horse enclosures are modern and the facility is in the process of constructing large turn out pens where horses that get along with each other can enjoy “R&R” several hours at a time. We offer clinics and classes on “How to Gentle” or “How to Desensitize” using “Gentle Horsemanship Techniques” for your newly adopted Wild Horse or Burro. Most new adopters try and train Mustangs or Burros like domestic Horses, which in most cases can be fruitless. After trying our techniques which are proven to be simple and safe, that encourage your new adoptee with kindness and gentling, you’ll find a wonderful feeling of satisfaction knowing you and your “New Mustang” will have a great life and lots of pleasure together. It’s a learning experience for both the adopter and Wild Horse or Burro. Wild Horse Foundation takes the stand that America’s born-wild horses have played an important role in our history. The American rangelands have been home for born-wild herds since the Spanish Explorers re-introduced horses to this continent back in the 1500’s. It was only in the early 1800’s that the born-wild horse numbers estimated to be 2 million, now sadly; there are only about 40,000-50,000 born-wild horses and burros remaining. They will do so if the public continues to support the Wild Horse and Burro Act of 1971 and the BLM’s Wild Horse and Burro Adoption Program. This will only be achieved through education and training and the Wild Horse Foundation aims to be an integral part in that process.